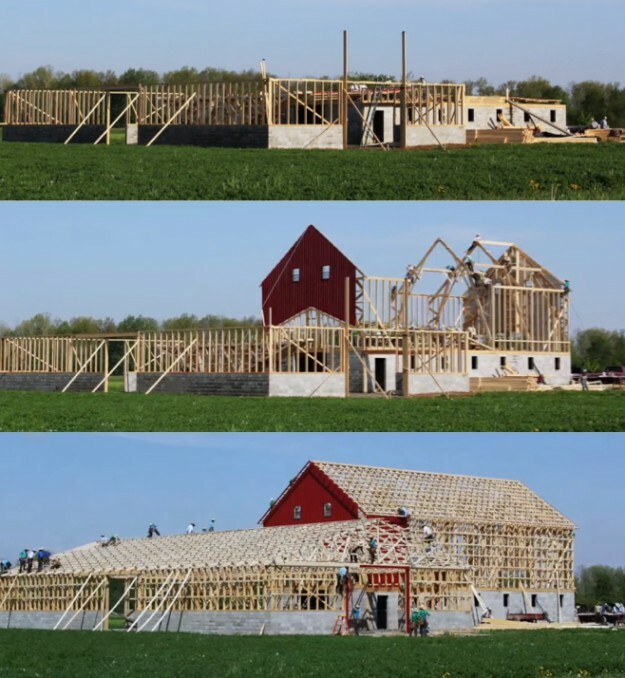 A ten-hour (7am to 5pm) Amish barn-raising at La Rue, Ohio filmed by Scott Miller and compressed into a three and a half minute timelapse. Posted in Video and tagged Amish, community at 5:22 pm on September 9, 2014 by Broadsheet. and we wonder why strong winds wreck havoc in america .